Discover How You Can Leap out of Bed every morning Stay Razor-Focused through the Day, and Sleep Like a Baby at Night…naturally! GUARANTEED! Experience the pinnacle of well-being at our total mind-body healing retreat. Immerse yourself in beauty and luxury in the breathtaking rainforest to release stress and toxicity, nourish your entire being, and receive one-on-one guidance to transform your health for life. Whether you are experiencing an illness, an accumulation of stress, or simply wish to feel more energetic, our Perfect Health retreat is customized for you, leaving you feeling more rested, joyful, and in tune with yourself than ever before – with the resources to stay that way. What are you Prepared to ​Do? There comes a time when someone who isn’t able to enjoy life to the max has to stand up and say: ENOUGH IS ENOUGH! And that’s the moment when everything starts to change… when life turns around for the better. Perhaps you’re at that point now with your health or emotional well-being. If that’s the case with you, great! Imagine how you will feel when you no longer have to deal with frequent illnesses, chronic fatigue or constant stress. Imagine what it would be like to put each and every one of these challenges into the past where they belong. 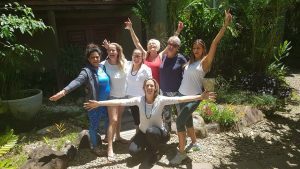 I GUARANTEE that when you take advantage of everything you’ll discover when you attend The Perfect Health Retreat you will have all the skills and techniques to live an energized, healthy and stress-free life. I’ll bet you’re saying “sounds good, but those are some BIG promises. True enough. But I stand by them, as I have dedicated years of my life preparing for this event. 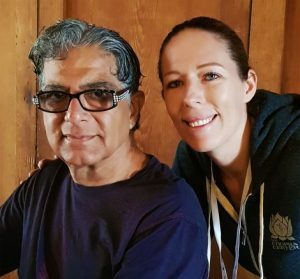 I am natural health practitioner, specialising in Ayurveda and and the only Chopra Certified Ayurvedic instructor in Australia; I hold the privilege of being personally trained by Deepak Chopra himself. It’s a rare honour for any student of Ayurveda to study under Deepak Chopra’s guidance. How to select and use foods most nourishing for your mind-body personality so you maintain vibrant health, correct weight and optimized digestion. How to use your senses to access the power of your body’s inner pharmacy to heal, nourish, and maintain balance. 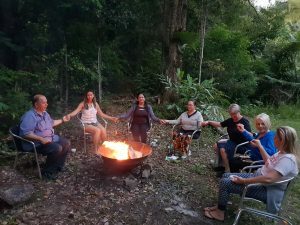 We keep these retreats intimate (a maximum of 20 participants) to ensure that the retreat is our powerful, supportive and effective as possible. This does mean that spots are limited and fill relatively fast so please contact us to book your spot earlier rather than later.